Condensate will build up on the bottom side of skylights in bathrooms, kitchens and when the humidity is high. This can cause staining on ceilings. 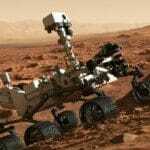 Even the Rover and Curiosity on Mars use skylight materials similar to what we use on Earth. Age, UV rays, moisture and many other things can cause a skylight to be cloudy. 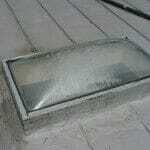 Generally issues with skylights relate to failure to properly maintain them. When is the last time you heard someone talk about maintaining their skylights? Been awhile?